Peter Stuart provided this old, mounted photograph of the Market Hall, which he dates to the 1890s. 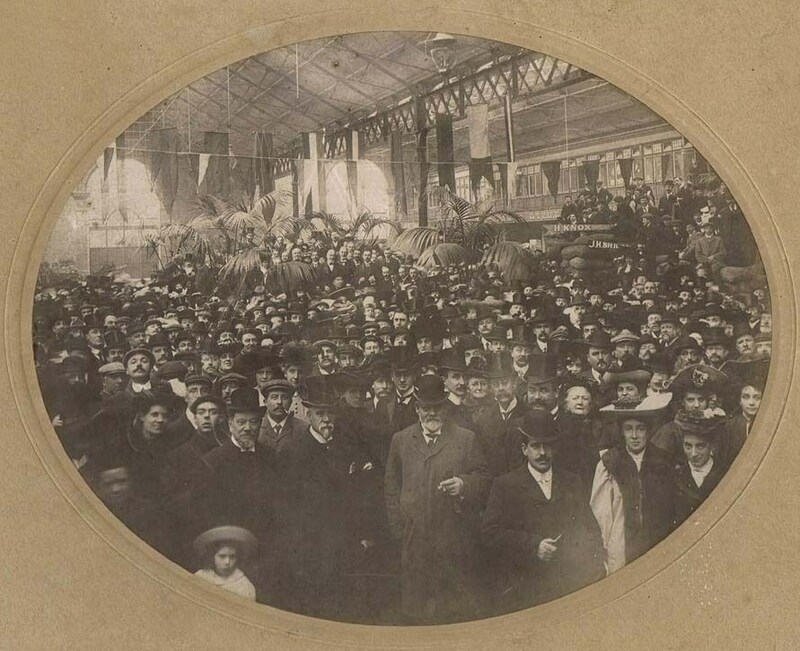 As the hall is packed with people, including dignitaries near the photographer, and there is bunting criss-crossing the hall, it could be the opening ceremony in 1893. Janet McNamara's piece about the history of Brentford Market has more details.